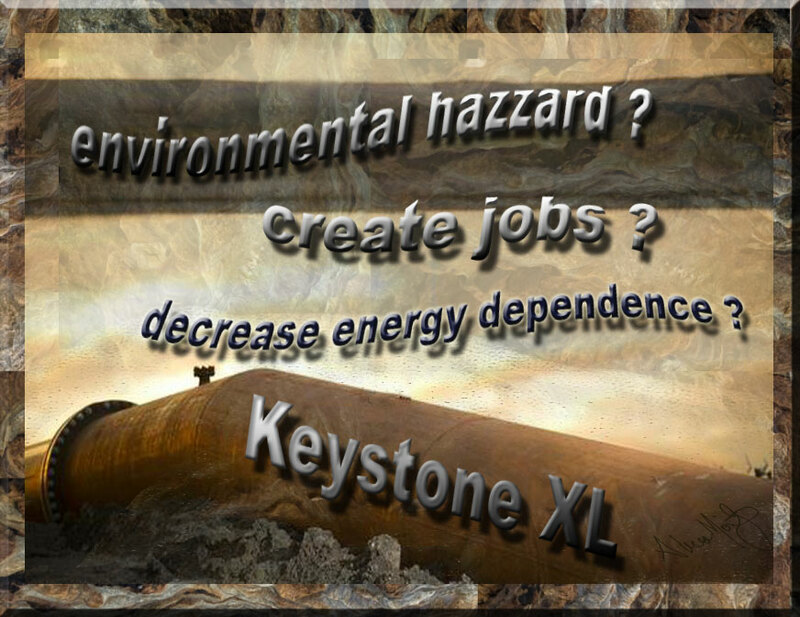 The argument, say proponents of the Keystone XL pipeline, is that it will decrease energy dependence (foreign oil), create jobs (to build pipeline) and not risk environmental hazard. 1. Energy dependence: The answer is no. TransCanada, the company that will construct the pipeline, estimates an increase in the price of oil of $3 per barrel which means it will do nothing to decrease our import of foreign oil. 2. Create jobs: For the short term, yes, jobs will be created to build the pipeline but once constructed most positions will be eliminated so there is no long-term job growth from this project. 3. The environment: The U.S. State Department report says the environmental impact of building the pipeline will be no greater than if it were carried by train or truck across the Midwest. The entire section of the report available to the public regarding Risk Analysis was redacted. Why? Because if a train carrying oil derails, those few tanks may break and damage the land but because it is only the amount carried in train cars, the damage is limited. In contrast, if the high pressure pipeline ruptures, untold amounts of oil can seep deep into the ground water (Ogallala aquifer) which provides irrigation to the grain and cattle across the entire middle swath of the country. If this water supply is tainted, it would devastate the economy because we would then have to transport fresh water from other areas in large volumes to irrigate fields and provide water to livestock. This would decrease U.S. agricultural output decreasing GDP and force imports of everything from maize to beef to chicken. In the cost benefit analysis under these terms, the costs significantly outweigh the benefits. However, will the costs outweigh the money being spent by oil industry lobbying? With David and Charles Koch slated to make another $100 billion off the Keystone XL pipeline, it is increasingly likely pusillanimous Congressmen will find difficulty fending off the esurient billionaires.